"Let's not forget that he pieced together seven straight top 20s across April and May so the good stuff is in very recent memory." Having just one year of course form is never helpful so we are rather feeding on scraps this week at the par-70 TPC Potomac. A couple of Web.com events were played here too (2012 and 2013) which could help punters and, although there are some obvious differences, it's also worth glancing at how players performed on the previous courses used in this Maryland event - Congressional and Robert Trent Jones GC. So let's start our search by looking at the current All-Around ranking. Dustin Johnson is putting is feet up while Justin Thomas is at the Open de France trying out this year's Ryder Cup venue but third-ranked Rickie Fowler is here. To be honest, I think Fowler has every chance this week, especially after shooting 68-65 on the weekend to finish third here last year, but he simply doesn't win enough to justify a bet at 7/1. For all the promise, I don't want Tiger Woods at 11/1 either. He has plenty on his plate with his foundation and will surely be using this as a building block for Carnoustie. 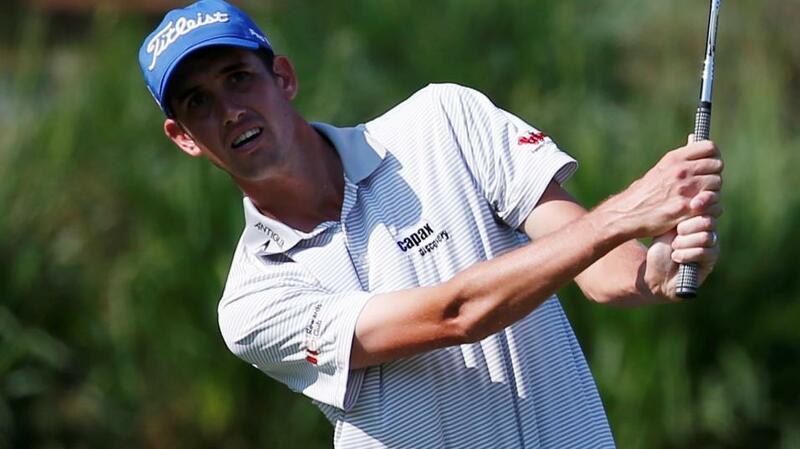 The next highest-placed player on the AA charts taking part here is Chesson Hadley at No.17 and that's an interesting discovery given that he has some notable course form having finished runner-up here at Potomac when it staged the Web.com's Mid-Atlantic Championship in 2013. The event was held in early summer and form from 2013 is probably more reliable than the 2012 edition won by David Lingmerth (well backed this week) which was held in drizzly conditions in September. Hadley is a streaky player and at the moment it appears like he's having a little dip. However, anyone can be excused for a missed cut in a US Open and although he also had the weekend off at the Travelers, the American shot a second-round 68 so nothing too much is wrong. Let's not forget that he pieced together seven straight top 20s across April and May so the good stuff is in very recent memory. This is a decent chance for him to add a second PGA Tour win so let's take the 40/1. Looking at the top two at Potomac in 2013, Michael Putnam and Hadley, current form was clearly a good pointer. Putnam had won the previous week's Mexico Championship where Hadley had finished sixth after a top three on his previous start. Stanley's form ahead of this event last year wasn't quite as recent but he was clearly in good shape after two top sixes in his previous five starts (Players Championship and Memorial). So how about a play on Andrew Putnam. Firstly, let's say that this isn't based on the fact that he may have strong genetic propensity to do well here given that brother Michael is a course winner! The main reason to back the younger Putnam is form and he has that in spades after three top 10s and a further two top 20s in his last eight starts. The most recent came via a second place in the St Jude Classic (2nd on the All-Around) and he was T20 at Colonial before that. Putnam also played in that 2013 Mid-Atlantic Championship and was tied ninth with 18 to play before falling to T27 so he's already had a decent look. He came into it off two missed cuts so confidence will be much higher this week. Speaking after his second place at St Jude (where, like this week, it was also extremely hot), Putnam said: "I've been playing pretty well and I just feel like this proves that I'm one of the players that should be out here. Proud of how I handled myself after a tough start. "I feel this is going to be great for me just knowing I can get there. Hopefully, next time I'll be able to close the deal. Locked up my card for the year, which is nice. First time I've done that. Just been playing good golf, so I'm happy where my game's at." With playing privileges secured, let's see if he can strike while the irons (1st for greens in regulation at St Jude) are hot. Combining the current form and All-Around stats, I've also landed on Beau Hossler. I backed the young American for first-round leader last week and another hot start saw him open with 65. He rode that all the way to the finish line and a closing 66 gave the 23-year-old Californian tied second place behind winner Bubba Watson. Also runner-up to the inspired Ian Poulter at the Houston Open, Hossler is clearly something very special and 33/1 seems a decent price to me against this fairly modest bunch. Assessing his season when interviewed last week, Hossler said: "I've had a lot of really good rounds. I've just got to get a little more consistent. "I think I played a little bit too much kind of early in the year and was running on fumes a little bit. "I played five in a row and Memorial was my fifth. I was in a good position at Colonial and Memorial off the first rounds, but I think I just kind of ran out of gas. "Fortunately, I had two weeks off coming into this tournament. Didn't play golf for eight days, and I'm feeling really refreshed. Looking forward to the next few days." That suggests he'll be raring to go again and his numbers look good. Hossler was fifth on the All-Around at the Travelers and topped that category when second in Houston. Overall on the season he's 26th for AA and 17th in Strokes Gained: Putting is always good to see in a prospective bet. If you want form horses, Francesco Molinari at 20/1 and J.B. Holmes at 25/1 certainly fit the bill although there doesn't seem much juice in their prices. Kevin Tway has three top fives in his last five starts and could be interesting at 50s. BMW International Open: Tremendous Tommy or tired Tommy?